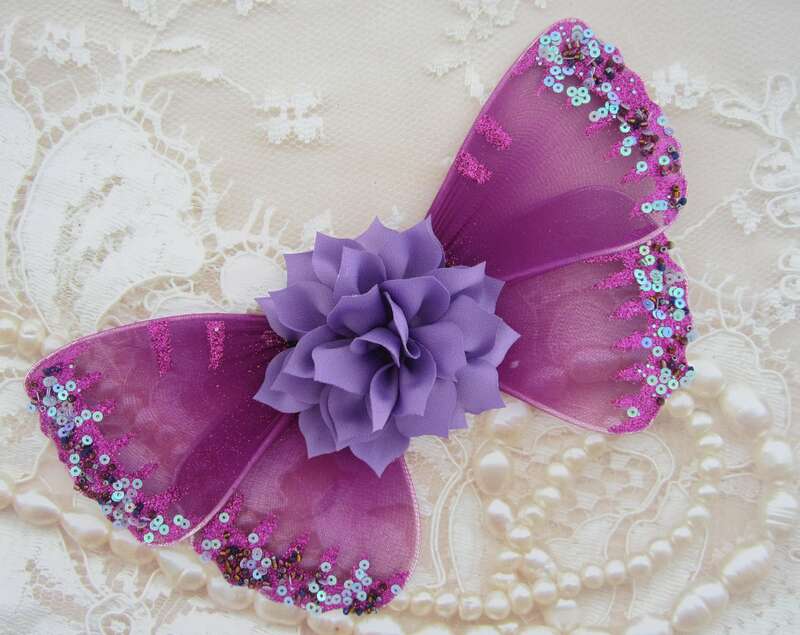 Plum and Lavender Butterflybaby Wings AND /OR flower 1 inch lace headband for newborn photo props. These wings lay on the babies back for photo props for newborn babies. (NO STRAPS) They are not intended for older children and are not to be used as a toy. The headband with the newborn set it 13 inches. 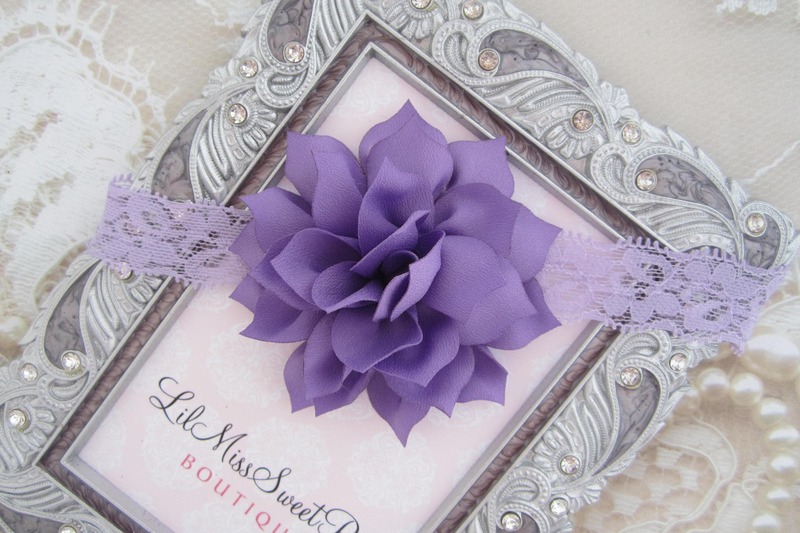 Flowers measure 3 inches and lace is 1 inch, stretch lace. 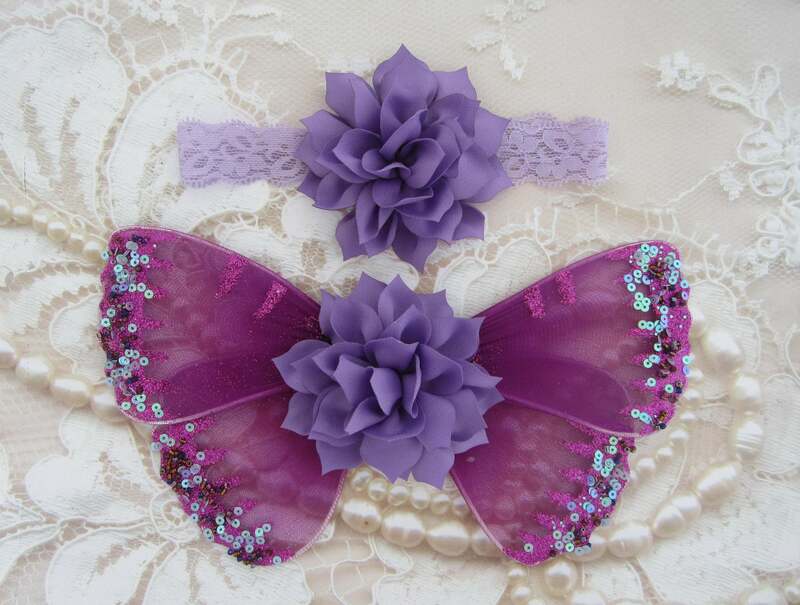 LIGHT PINK WINGS ARE NOT INCLUDED, these are to show how these wings are placed on the baby and to show you the size vs. a newborn.